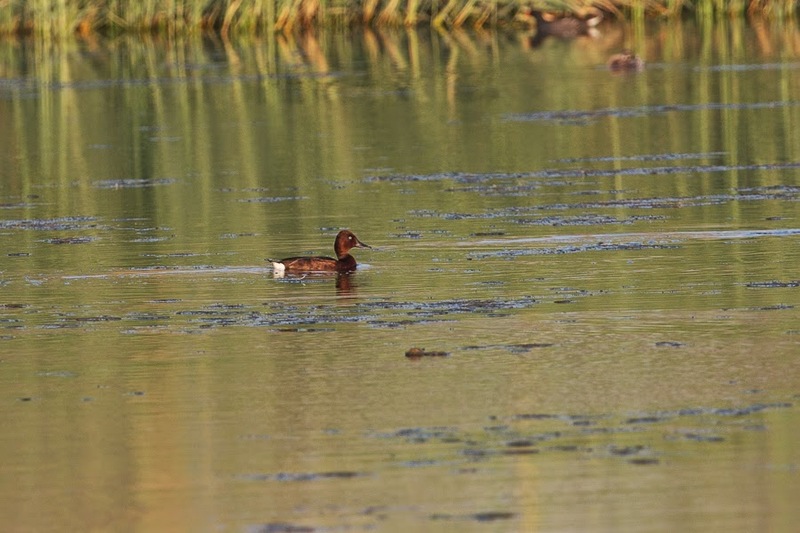 Ferruginous Duck is a scarce passage migrant and winter visitor primarily from September to April, and is also a rare breeding species. 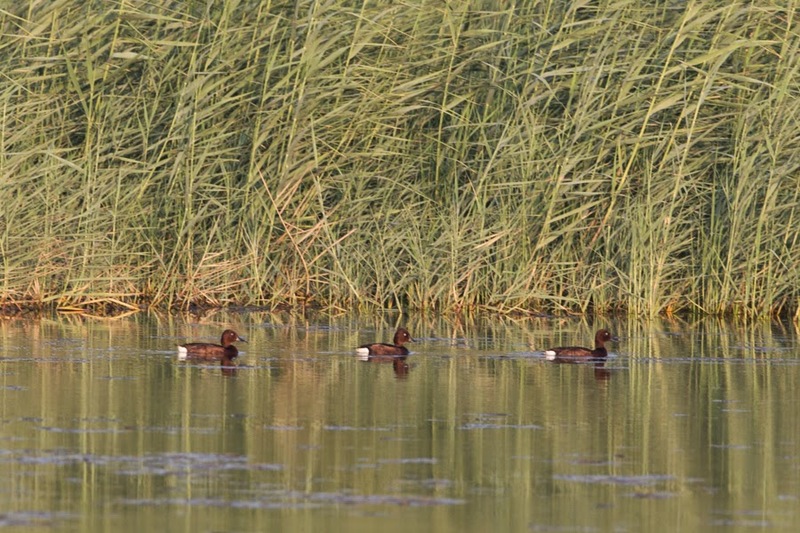 The species is currently listed as Near Threatened worldwide and prefers shallower and more vegetated areas than other Aythya species and seldom sits out on open water. It was thus a surprise when I found three males on the muddy edge of the percolation pond that soon moved out into the open water. 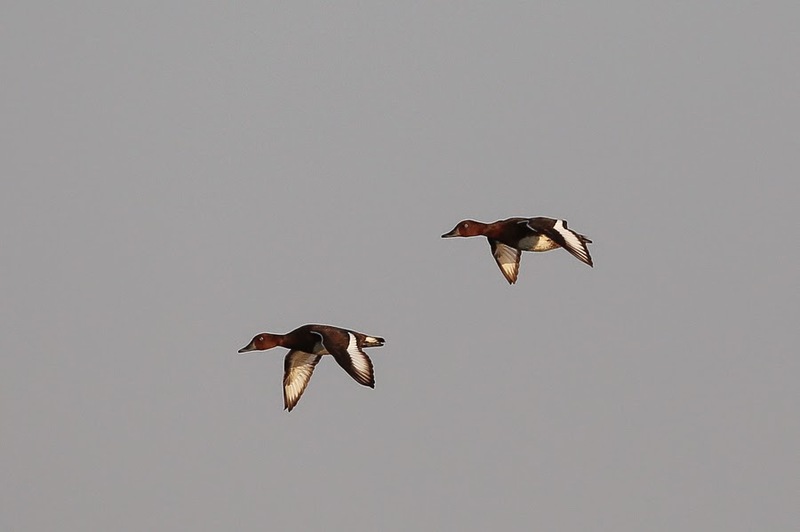 As I attempted to get a photo of them on the water they flew, but luckily circled around and came back to land allowing a few flight shots to be taken. 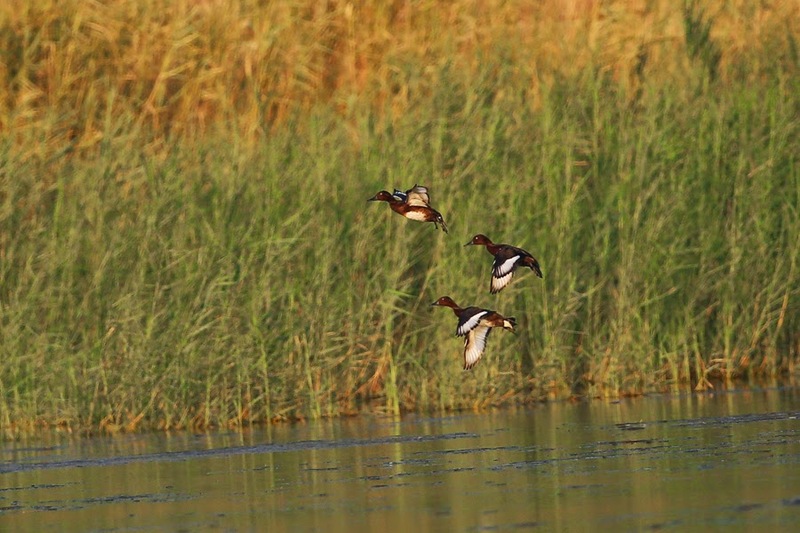 The birds then stayed in the open for some time at a distance before disappearing into the main reed bed. 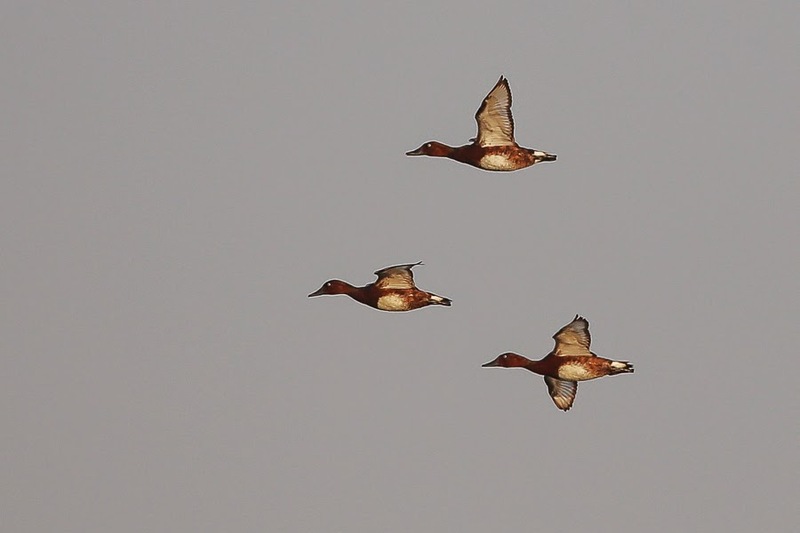 I have seen birds on a couple of occasions before on the ‘patch’. 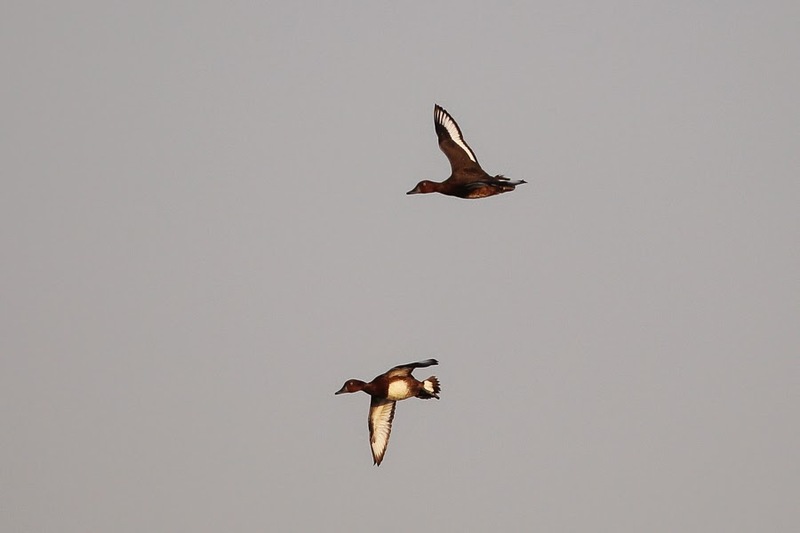 I saw two males at the Percolation Pond on 15 November 2012 and two males at the same site in June 2013. 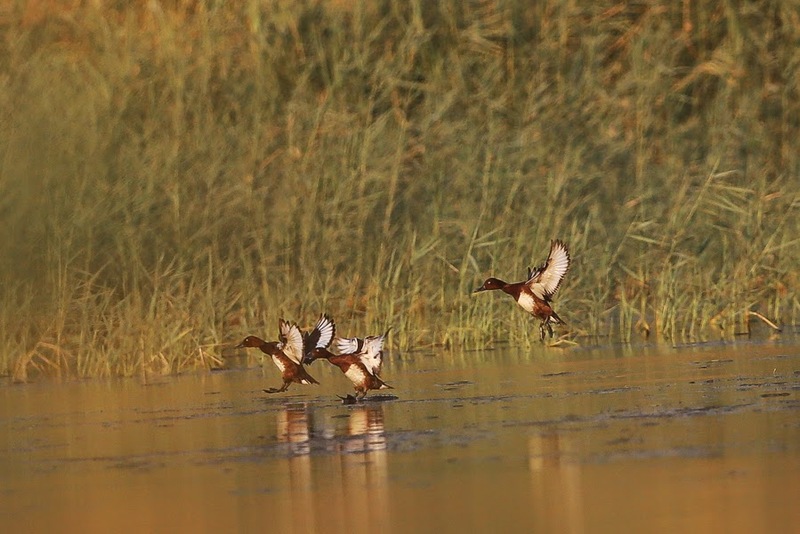 I have also seen birds rarely at Sabkhat Al Fasl. This is the largest count of species on the camp in the four years I have been here, so I was happy with my evenings birding.